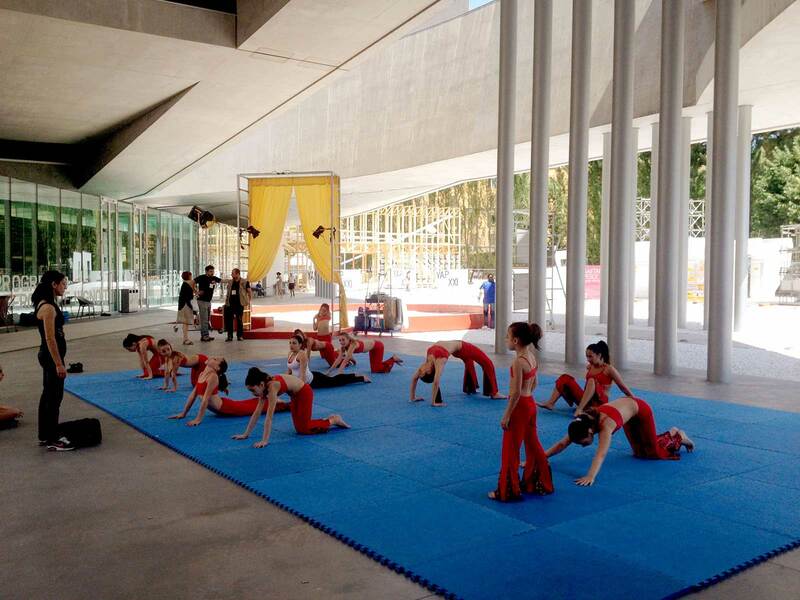 The School of Narrative Dance is an ongoing project by the artist Marinella Senatore. It is a nomadic school, where anyone can be a student and which teaches the art of storytelling through dance, theatre and film. 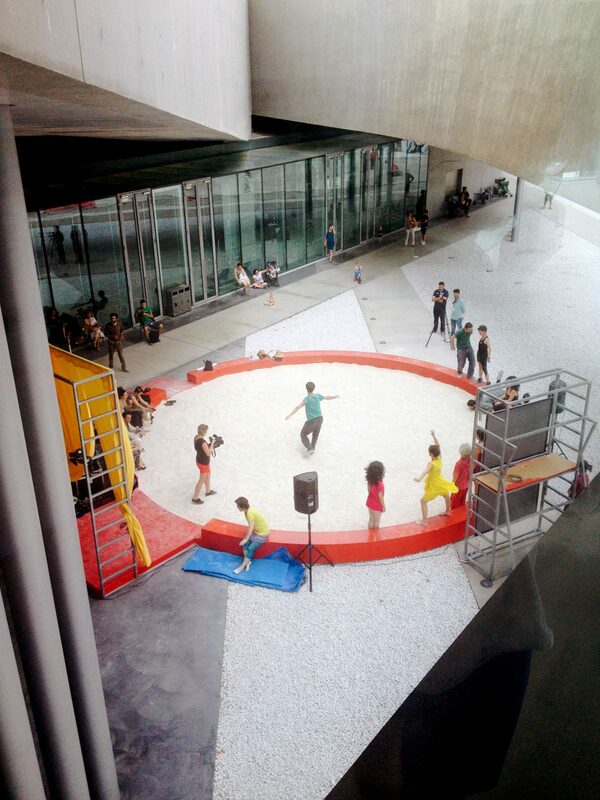 Assemble collaborated with Marinella Senatore to design a temporary home for the school at the Maxxi Gallery in Rome. 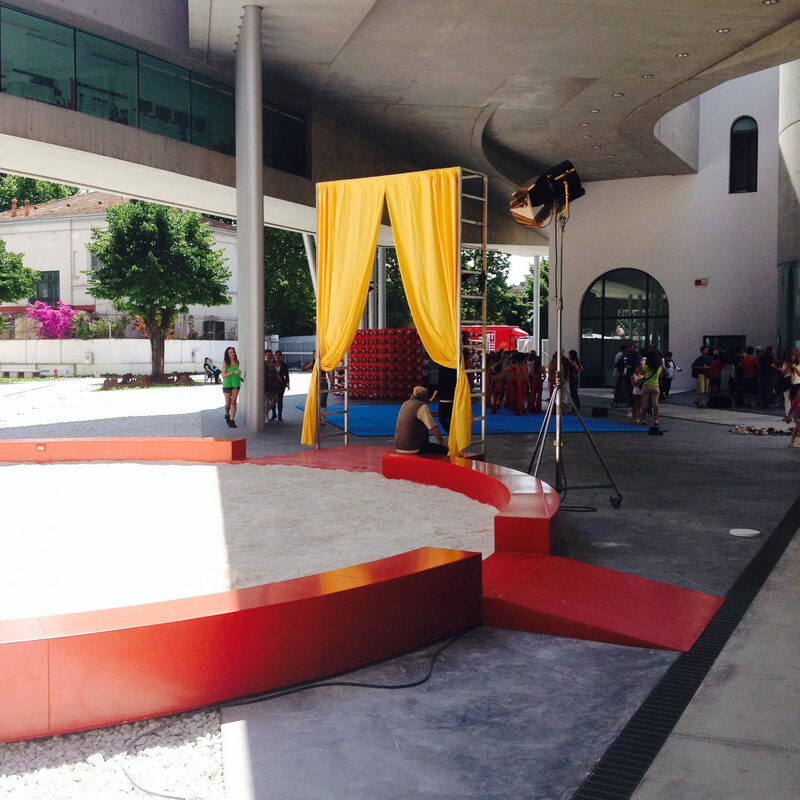 Conceived as a 'school without walls', the project was built outside in the piazza as a circular arena in order to form an inclusive setting for storytelling. 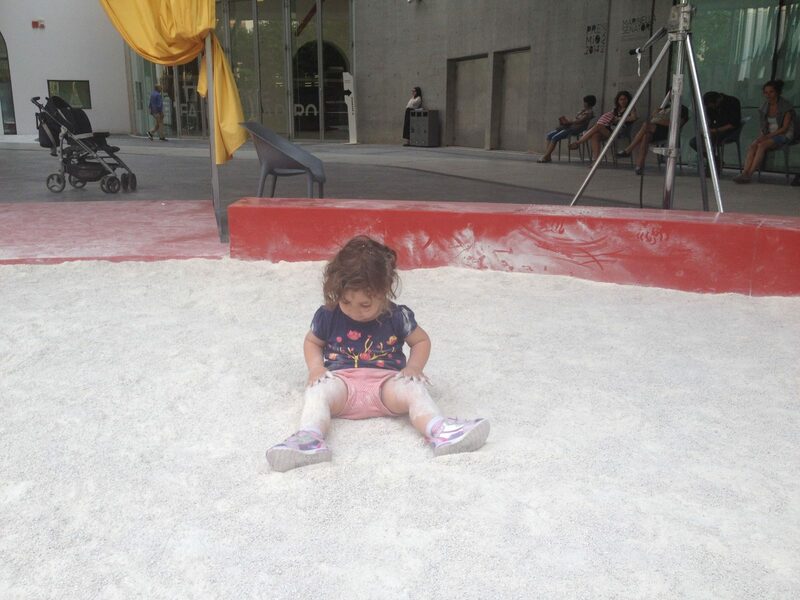 Taking its cue from the circus ring, a bed of sand was bounded by a low wall to create a space for informal play, participatory workshops and more formal performances: a piece of public theatre within the everyday life of the piazza. 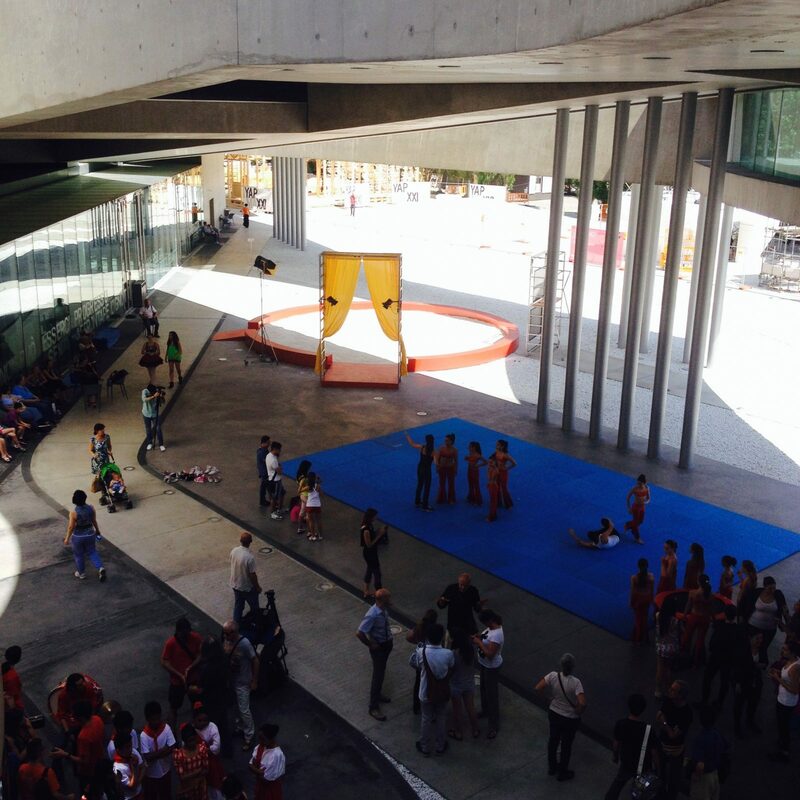 The project culminated with a peripatetic performance throughout the gallery and piazza by the school’s three hundred participants. 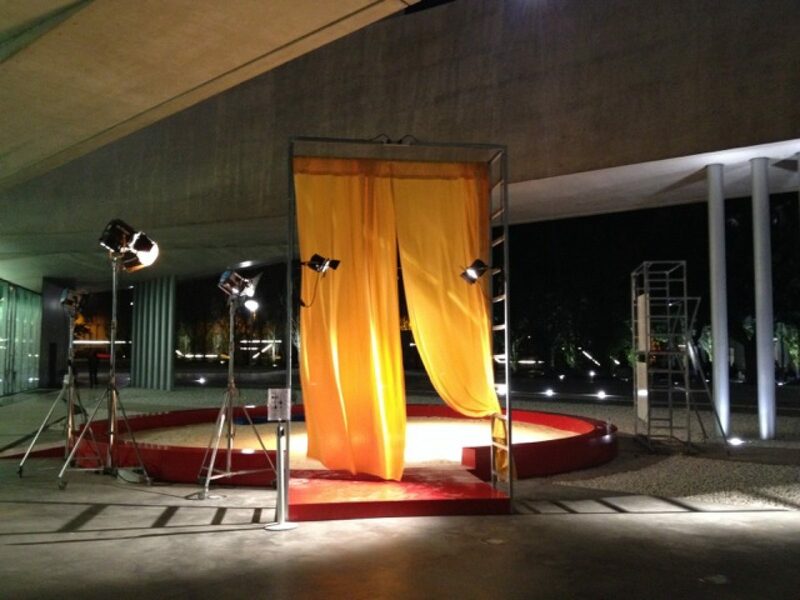 The artwork was the recipient of the Premio Maxxi Prize 2014.